Kids Against Plastic was an initiative set up by Amy and Ella when they were 12 and 10 years old respectively. They became interested in the impact of single-use plastics on the environment and wildlife after studying the UN's Global Goals and, in the spirit of the Goals, decided to do their bit. Their Be Plastic Clever campaign is a positive initiative that encourages schools, cafes, businesses, FESTIVALS.... everyone if fact to be discernible users of single-use plastics. Come along to their stand to learn how YOU can become Plastic Clever and do your bit to tune off the tap of single-use plastic pollution. 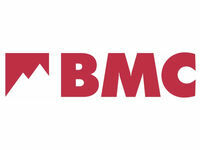 This year ShAFF 2019 coincides with our 75th anniversary, and we are inviting festival-goers to join the celebrations with special discount tickets available to BMC members! During 2019 we’ll be hosting a range of special events! 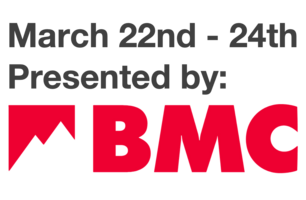 On Saturday evening we will be putting on the 5th Annual BMC TV Women in Adventure film competition hosted by ShAFF judge Claire Carter and Womenclimb founder Emily Pitts. There will be a special screening of this year’s entries, announcement of the winners plus time to network. 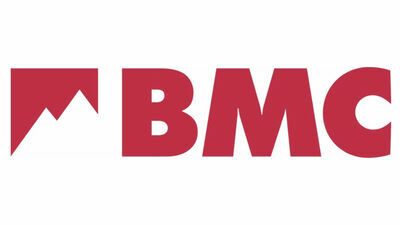 Straight after that, we will be holding the BMC Networking Event which will be an opportunity for those attending the WAF competition and VIPS to mingle and network before the BMC 75th Birthday Bash – a boisterous evening of films, personalities, and star climbers, hosted by Niall Grimes, climber, storyteller, and mischief maker. Challenge Cancer Through Adventure CCTA help people who are based in our region who are living with cancer to change their outlook, rebuild convidence and regain control of their lives by undertaking an outdoor adventure challenge. Challenge Cancer Through Adventure is a Peak District based charity run entirely by volunteers. We help people based in our region who are living with cancer or a life threatening illness to change their outlook, rebuild confidence and regain control of their lives by undertaking an outdoor adventure challenge. Challenge Cancer Through Adventure provides support, encouragement, advice and funding to help people take on an adventure challenge. Climbers Against Cancer is a non profit charity who raise funds by selling a lovely range of colourful tees and hoodies. All the money raised is donated to cancer research facilities and organisations around the world. In 2018 alone we made 4 donations totalling £100,00.00 from the UK to Australia. 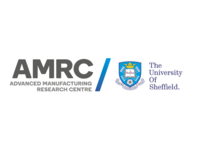 Climbing For All Sheffield Climbing for All Sheffield is a registered charity which helps children, young people and adults with a wide range of disabilities enjoy rock climbing be visible and included in the climbing community in Sheffield. 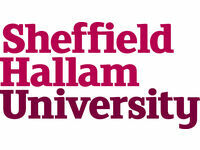 Climbing for All Sheffield is a registered charity which helps children, young people and adults with a wide range of disabilities enjoy rock climbing be visible and included in the climbing community in Sheffield. 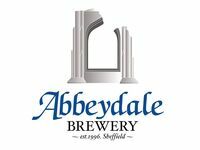 Our base is The Foundry Climbing Centre in Sheffield. We a run a number of sessions every term, offering a sustainable climbing opportunity to club members. Get in touch with us if you want to climb, or you’d like to volunteer, or if we can talk together about ‘Climbing for All’ initiatives or other topics of interest. We can all enjoy climbing! 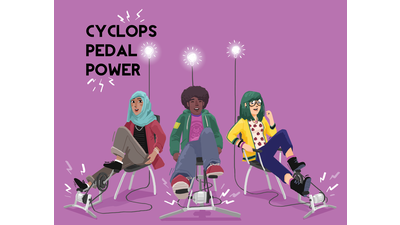 Cyclops Pedal Power Empower yourself with pedal-power! Cyclops Pedal Power uses pedal-powered electricity generators, technology and creative arts to educate and campaign on climate change and inequality. 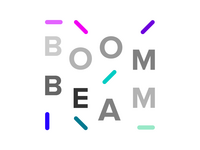 We teach young people STEAM skills (Science, Technology, Engineering, Arts and Maths) and show them how to apply them to make the world a better place. Our current project, Hack the Script on Climate Change, uses interactive models to help people envision a fair and sustainable future. Dark Peak Purpose driven, performance outdoor clothing, based in Sheffield. Every item sold, another is donated to the homeless. 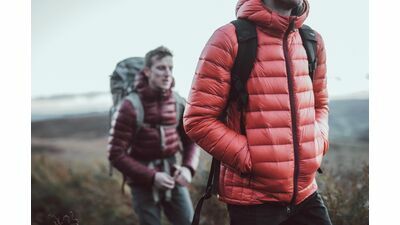 Dark Peak is a performance outerwear startup based in Sheffield. A purpose driven business, based on a simple promise that for every item of clothing sold, we'll donate another to the homeless. Our first product, the NESSH Jacket is a high performance, lightweight down jacket, packed with premium features and specs and for every jacket sold, another jacket is donated to the homeless. One Sold, One Given, Every Time. Decathlon's main mission is to make sport accessible to as many people as we can. Established with this mission in 1976 (Lille, France), Decathlon has since expanded into the European market and eventually worldwide with over 1000 stores. 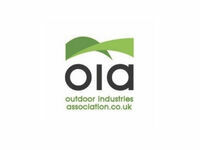 Launching in the UK in 1999 we are now delighted to have over 40 stores in the UK. 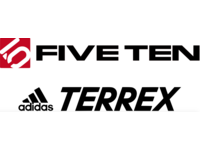 As we continue to expand we will continue to make “sport accessible to all” by offering the best value equipment with great sports advice and services such as 365-days return, bike repairs, free running events etc. Most of all we believe that being active and discovering new sports every day is an important part of a healthy lifestyle. Let's do some sports together, as together is always more fun! Come and Learn about Ecobricks with The Watercress Queen, a Global Ecobrick trainer. Discover how you can change your relationship with plastic and live a more harmonious life in our biosphere. Edge Sports Massage Edge Sports Massage are on hand over the festival weekend to provide taster sessions for general maintenance, post-event recovery or assist with injury recovery. Pop over and say hi for your 20 minute free session. Edge Sports Massage is a new locally based sports massage service which started up in 2018. Led by Amanda, a Sheffield local and lover of the Peak District playground, Edge focuses on the needs of outdoor and adventure sports enthusiasts. Sports massage brings benefits to those in need of regular maintenance and post effort/event recovery, but also in injury treatment and rehabilitation. So if you're a keen MTBer, fell runner, boulderer, climber, roadie or just have a niggle that needs some attention, catch up for a free taster session at ShAFF. 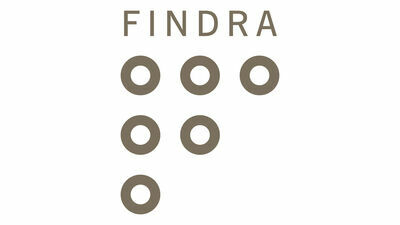 FINDRA is an award-winning outdoor and active lifestyle clothing and accessory brand. 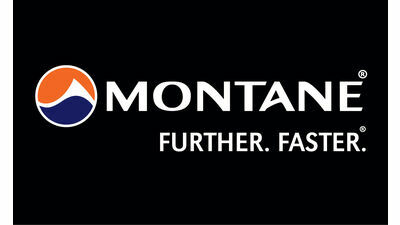 We fuse design and performance in a new and innovative way to create beautifully made, quality performance clothing. Our innovative activewear is made with the finest merino wool and the most technically advanced fabrics to create versatile garments that work together beautifully. 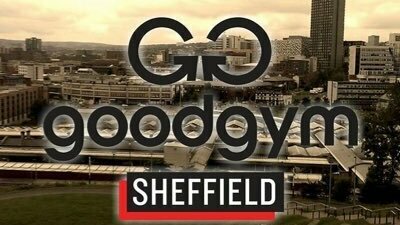 Good Gym We're a community of runners that combines getting fit with doing good. Join us and find your reason to run. High Places Adventure Travel Based in the heart of Sheffield, High Places is an independent operator offering Walks, Treks and Cycle tours to selected destinations around the world. JE James Cycles Family owned bike shop who's roots are firmly in Sheffield. The John Muir Trust is dedicated to protecting and enhancing wild places. Some of the finest and best-loved UK mountain landscapes are under our care. The Trust has taken on the management of Glenridding Common in the Lake District until October 2020. Currently the wild quality of Striding Edge, Helvellyn and Swirral Edge suffers due to erosion, flooding and high footfall. We’re working with the local community and partners to strengthen the wild character of the area. The Trust also cares for parts of Ben Nevis, Schiehallion, Knoydart, Quinag, Sandwood Bay and areas of the Cuillin mountain range on Skye. We restore natural habitats, maintain footpaths, clear litter and help nature flourish in these magnificent landscapes. We campaign to protect wild land from inappropriate development and work to keep wild places open for all to enjoy, connect with and care for through initiatives such as the John Muir Award. Discover how to help us enhance the wild places in our care. Together we can ensure people and nature thrive. Moors For The Future Partnership Our Bogtastic Van is coming to ShAFF. The first 'moor in a van' shows off the wonders of blanket bog and explains why we should all care about protecting this vital habitat. Moors For The Future Partnership's Bogtastic Van is coming to ShAFF. The first 'moor in a van' shows off the wonders of blanket bog and explains all the wonderful reasons why we should all care about protecting this vital habitat. Come and chat to our staff and find out about the work we're doing on the moors. 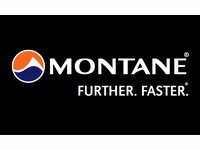 Mountain Heritage Trust The Mountain Heritage Trust houses some of the most significant material on British climbing and mountaineering and is working towards a future where its vibrancy can be experienced by all. From the first rock climbs on Napes Needle, to daring first ascents in the Greater Ranges, and incredible feats of competitive athleticism; the Mountain Heritage Trust archive of films, images, books and artifacts echoes with some of Britain’s most iconic achievements and its boldest personalities. Now though they’re looking to the future, and asking what stories might lie amidst the crags and climbing gyms up and down the country. We all have own our mountain history, and in 2019 the Mountain Heritage Trust is telling those inspiring stories from our incredible community. 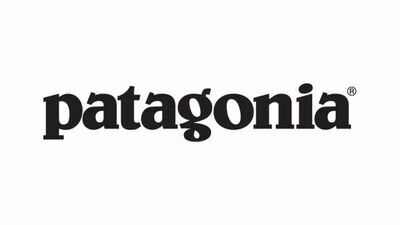 Patagonia Worn Wear If It's Broke Fix It! As individual consumers the single best thing we can do for the planet is to keep our gear in use for longer. Worn Wear will be joining the Sheffield Adventure Film Festival to offer free repairs on busted zippers, rips, tears and more! 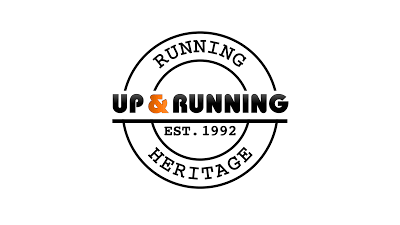 All brands are welcome and we’ll aim to repair everything we possibly can – we can also show you how to make simple repairs yourself to give your gear a new lease of life. Repairs are taken on a first come first served basis and we can only take one item per person. Please also make sure your gear is clean and dry! 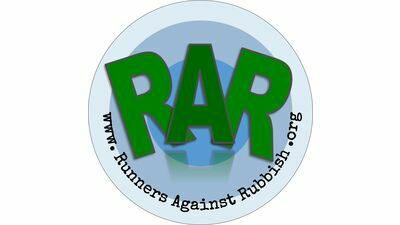 Runners Against Rubbish Because Binners are Winners. Running takes us to stunning places and lets us feel part of nature. The least we can do is keep it tidy. Join us and help make a difference. For ourselves, for the future, and for everyone and everything we share the planet with. 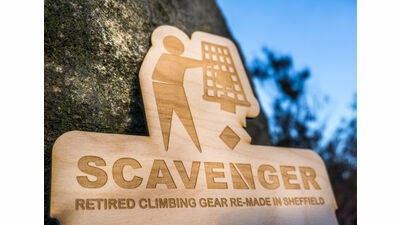 Scavenger will be at ShAFF with their latest range of Crag Swag creations, made from retired climbing gear. Strip The Willow and REACH Homes CIC Exploring the world of recycling and sending materials off round the cycle again for the good of the planet! Strip The Willow is a local business making fabulous new furniture from old, reclaimed wood and pallets into family heirlooms. From that venture REACH Homes was born, where we recycle shipping containers to create beautiful homes to put the furniture into. Tentsile Tentsile combines the comfort and versatility of a hammock with the security and multi-person-occupancy of a tent. Our range of suspended shelters are unimpeded by wet, rocky or uneven ground conditions and will literally take your camping experience to a new level! 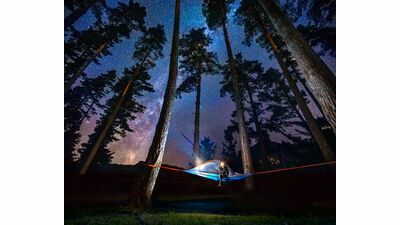 Tentsile will be at ShAFF with an awesome set up of tree tents and hammocks. Our innovations in tent design will literally take your camping experience to a new level! Come and check out our products in action! 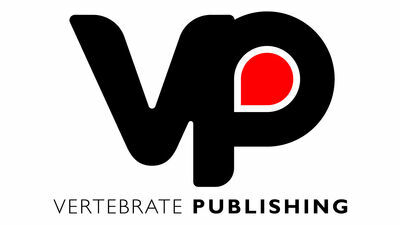 Vertebrate Publishing A large selection of climbing, mountaineering, mountain biking, cycling, walking and running books, all at special ShAFF weekend discounts. We're proud to create opportunities for people from all backgrounds to experience amazing places, share extraordinary journeys and discover a different path through life. Throughout the weekend, we'll be running a variety of free children's activities in the Workstation for any budding adventurers to enjoy. Come say hi and find out more on what we do and how we could support your next UK adventure.